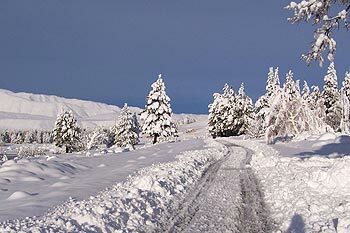 Community supplied photos of the 2006 snow fall. 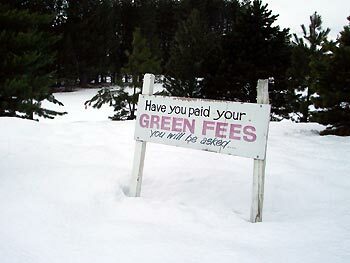 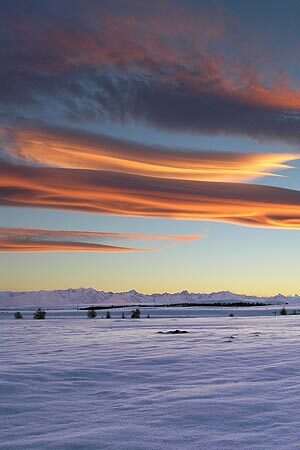 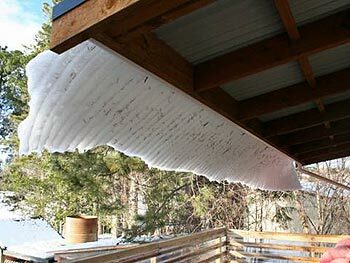 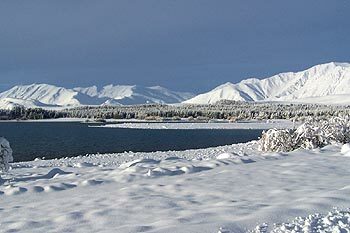 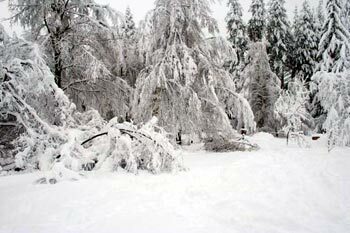 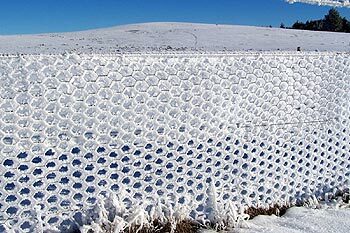 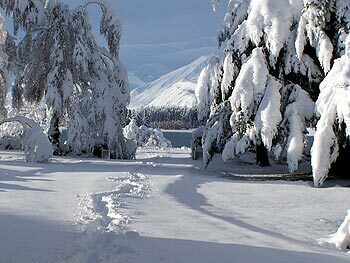 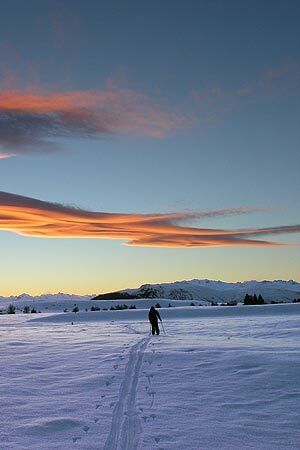 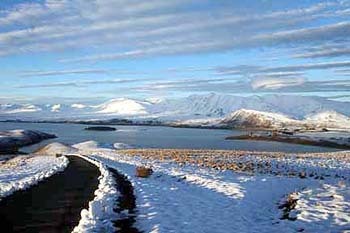 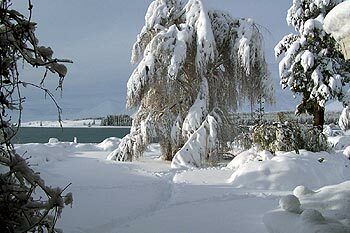 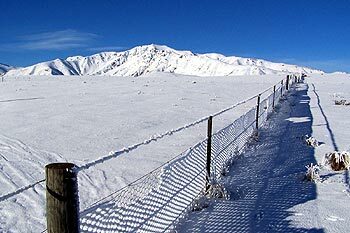 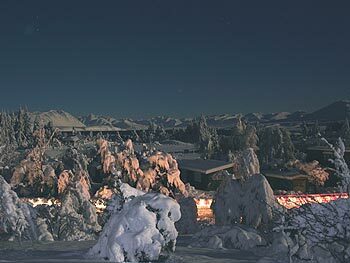 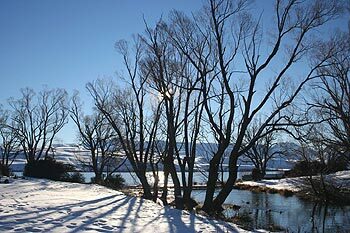 The following is a series of images from Tekapo locals, of the major snow fall of 2006. 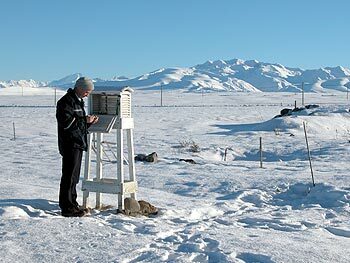 Air Safaris checking the overnight low temperature at their airport on the morning of 20th June. 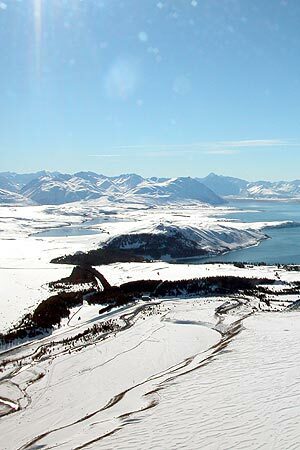 "The game must go on..."
An aerial view of Lake Tekapo and the surrounding area as viewed from the South. 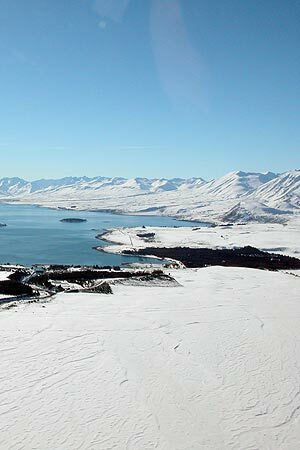 The village lies either side of the Tekapo River at this end of the lake. 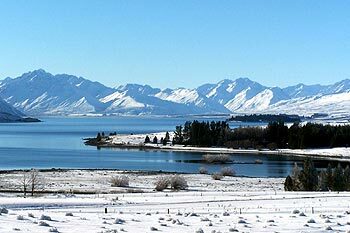 The Tekapo-A power station and it's canal can be seen in the foreground on the left. 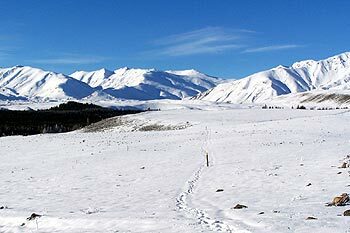 Lake Alexandrina lies in the distance, above it. 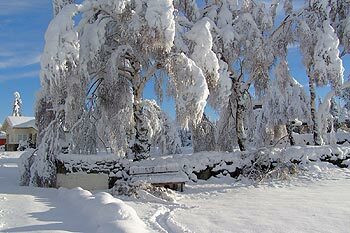 Snow laden trees within the village. 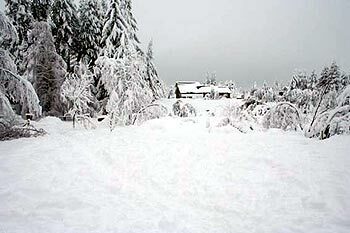 Warm cottage - cold climate. 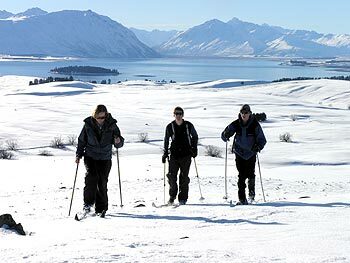 Ski touring above the village.